You are here: Home / News / Community / Youth Tour scholarships awarded in D.C. Youth Tour scholarships awarded in D.C.
WASHINGTON, D.C. – Tennessee’s electric cooperatives awarded $16,000 in scholarships to Washington Youth Tour delegates on Tuesday evening, June 12, in Washington, D.C.
Matthew Byrd, a senior from Southwest Tennessee Electric Membership Corporation, was awarded a $10,000 Cooperative Youth Ambassador Scholarship. Byrd was a 2017 delegate of the Washington Youth Tour. 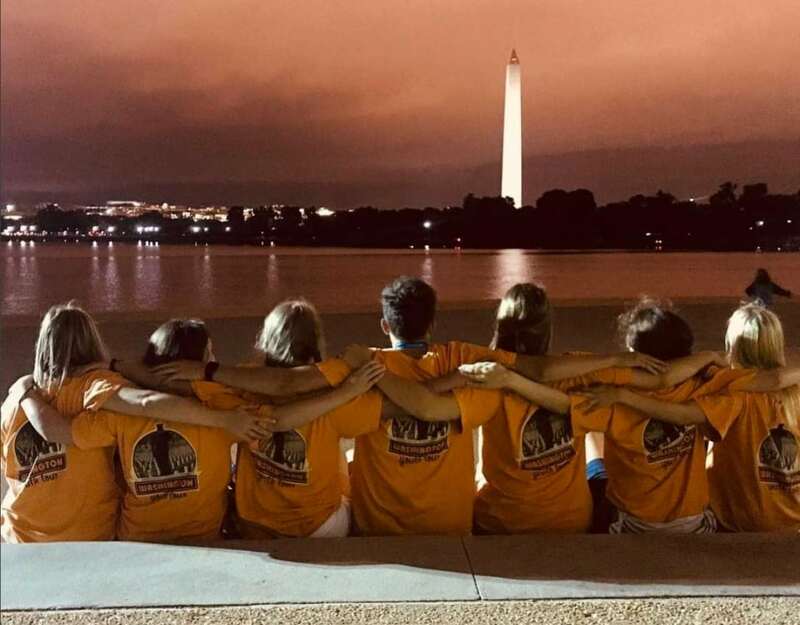 In the year following the tour, delegates who remain engaged with their sponsoring cooperative and complete certain community service requirements are eligible for the scholarship. Byrd’s name was randomly selected from among the 37 delegates from across the state who completed the requirements. Silas Freeze from Gibson Electric Membership Corporation, McKinley Thomas from Sequachee Valley Electric Cooperative and Mary Kate Sheppard from Forked Deer Electric Cooperative were awarded $3,000, $2,000 and $1,000 Robert McCarty Memorial Scholarships for having the first, second and third place papers of the more than 10,000 papers submitted across the state. 2018 Robert McCarty Memorial Scholarship winners from left Silas Freeze, McKinley Thomas and Mary Kate Sheppard. Photo by Robin Conover. 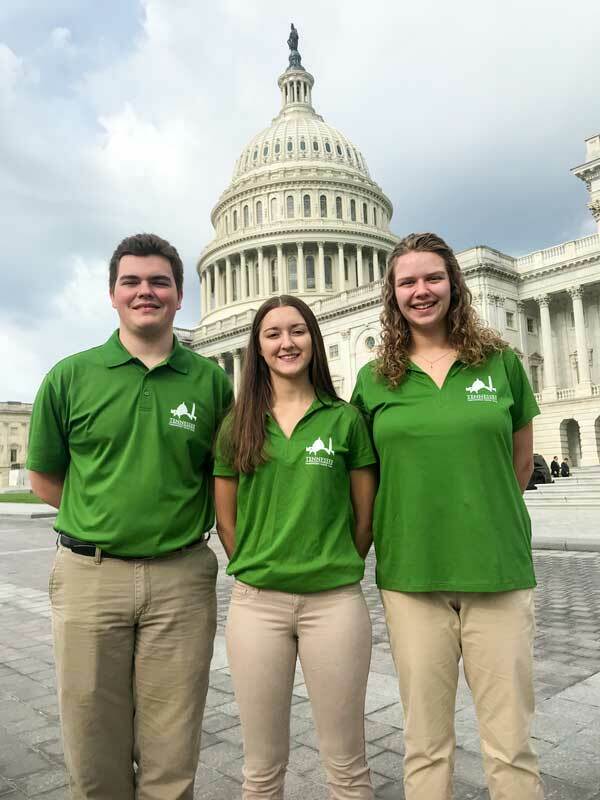 More than 135 high school Juniors from across the state are in the nation’s capital this week for the 2018 Washington Youth Tour. The annual event teaches students about public policy, history, leadership and electric cooperatives. The annual event is coordinated by local electric cooperatives, the Tennessee Electric Cooperative Association and National Rural Electric Cooperative Association. https://www.tnelectric.org/wp-content/uploads/2018/06/WYT1-1.jpg 924 1182 Trent Scott https://www.tnelectric.org/wp-content/uploads/2017/07/TECA-logo-full.png Trent Scott2018-06-13 02:20:252018-06-15 16:36:22Youth Tour scholarships awarded in D.C.
A super wonderful opportunity for these future leaders and a big shout-out to TECA for providing this opportunity! Congratulations to not only all the winners but to all who participated – and to all the parents, teachers and all who have encouraged these young people! A job well done and all the best to each of you!